The terms of his Last Will and Testament were followed and Bentham’s body was completely dissected. The bones were reassembled into a skeleton topped by a wax mask and dressed in his clothes. His likeness was then placed in a glass and mahogany case, sitting upright in an armchair. 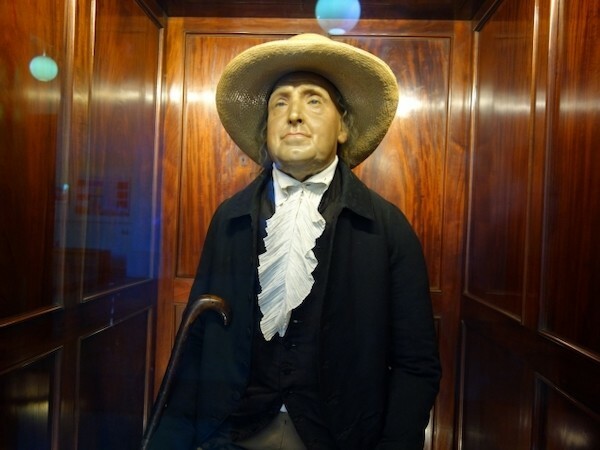 As requested in his Last Will and Testament, Bentham’s body was dissected as part of a public anatomy lecture. 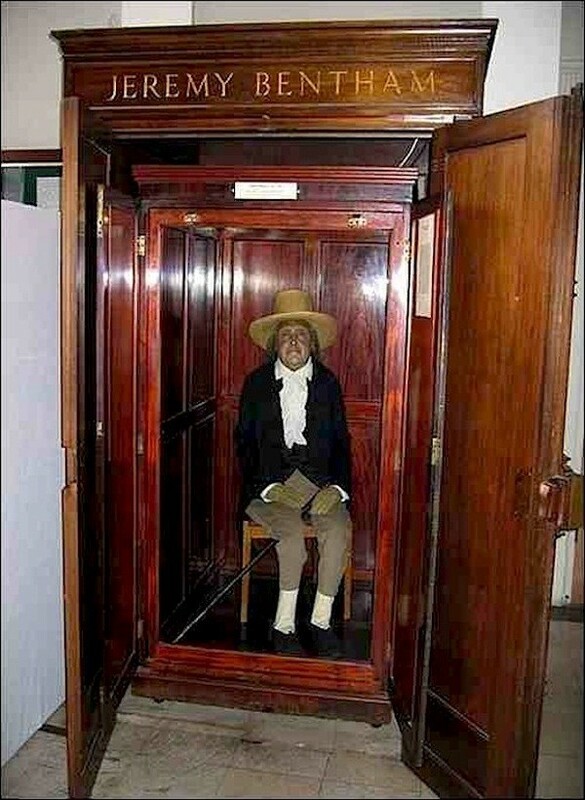 Afterward, the skeleton and head were preserved and stored in a wooden cabinet called the “Auto-Icon“, with the skeleton stuffed out with hay and dressed in Bentham’s clothes. Originally kept by his disciple Thomas Southwood Smith, it was acquired by University College London in 1850. It is normally kept on public display at the end of the South Cloisters in the main building of the college, but for the 100th and 150th anniversaries of the college, it was brought to the meeting of the College Council, where it was listed as “present but not voting”.